Rob Bartram, will tell you to get lost and to go and complain elsewhere. Nice one Rob, I see you are just part of the Legal Protection Racket Arseholes. After Ol' Rob telling me to 'get lost' I took his advice and tried other "remedies" but just like a 'Duck's arse' they are all 'Water Tight'. thank you Rob Bartram, Legal Adviser, at the Legal Services Ombudsman's Office. 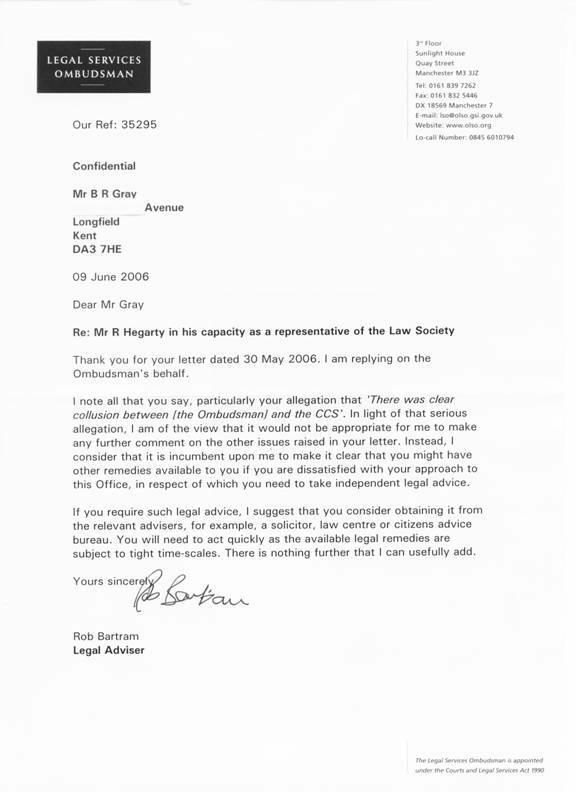 Read the last two paragraph of another letter Ol' Rob Bartram sent to another solicitors client on behalf of Zahida Manzoor to cover arses.